This review is about item#37588896. Since the spring broke, I tried substitute items, but I could not install it with shocks, but I got it back where I purchased parts purchased from a monotary. It is a great thing to be able to obtain the parts you want very quickly. This review is about item#37588932. There was an accident that the stand spring of Mamari Chari breaks with rust. I found out by chance that I thought that it was also to replace the entire stand. It was slightly shorter than the original, but it can be used without problems. Even small steps such as seams of asphalt The shaking stand stabilized steadily. I think there is more effect than price. However, like the image, the direction of the hook portion of the stand is It is easy to install if it is 180 degrees difference, There is a difference in the direction of about 90 degrees of the goods that arrived I needed twisting (twisting) to install and it felt a little difficult to install. This review is about item#37588905. I think that there is no problem, I think that I want to devise ingenuity in usage. This review is about item#37588887. I am saved because I can purchase such parts separately. I did not buy a stand. There was nothing wrong with the product. The price is reasonable and it is saved. It is not possible, and it is normal without being unbreakable. I am thankful that it is very cheap. However, it is regrettable that the spring was missing one point. Please improve for missing items. I exchanged the stand spring on the right side, but it is somewhat too long and the stand bends while running. If you buy it is better to choose 60 mm left and right. This review is about item#37588914. It is very convenient because you can purchase one by one. I will order it when I need it. The repair of the spring of the bicycle, it was slightly stiff, but - fitted with the driver, it is good. I have purchased repeat. It is sudden and always inexpensive when it runs out, so I stock a couple of them. There is no problem in quality. This review is about item#37588941. The stand also moves up and down with a spring that is kept solid. I also would like to use Nakaya metal spring next. Although some improvements were seen by exchanging the stand springs, there are parts degraded besides the springs, so we will not improve like new ones. I think that it would be better to exchange the stand completely. The spring on the right side of the stand was missing so I ordered it. I am very pleased that there is nothing wrong with the current one. Since it is made of stainless steel, it is certain that it will last strongly for rust. 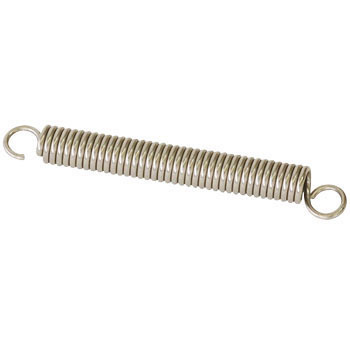 I was looking for a bicycle stand spring unnoticed so I found it at a home center etc, but I was in the place I was abandoned, it was in a monotarou, I was surprised to see the price is too cheap. This review is about item#37588923. We stock a few in stock at the reserve of the bike stand.